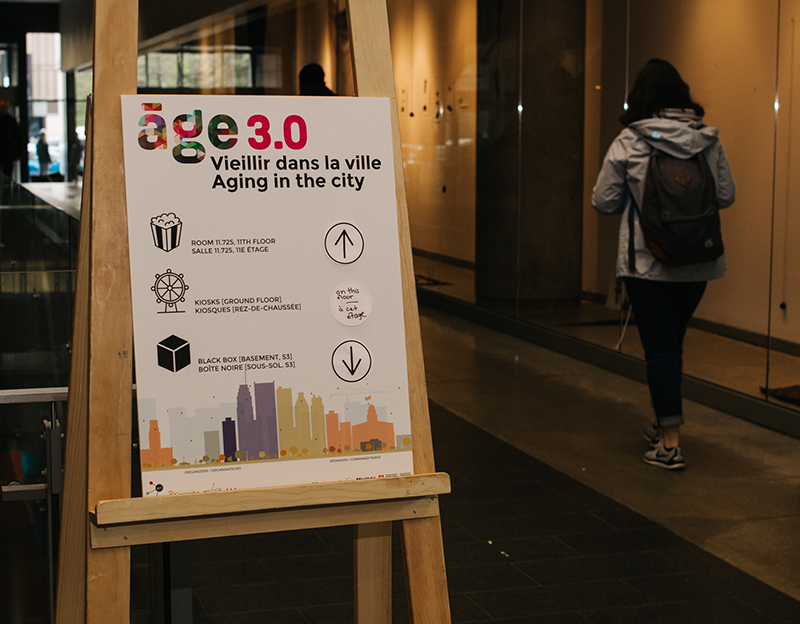 On November 1, 2017, ACT, in partnership with engAGE and Communautique, hosted Age 3.0: Aging in the City at Concordia University. The bilingual event brought guests from the university, community groups, local businesses, as well as members of the general public into one place to exchange ideas, ask questions, and imagine possible ways to live in the city as we grow old together. 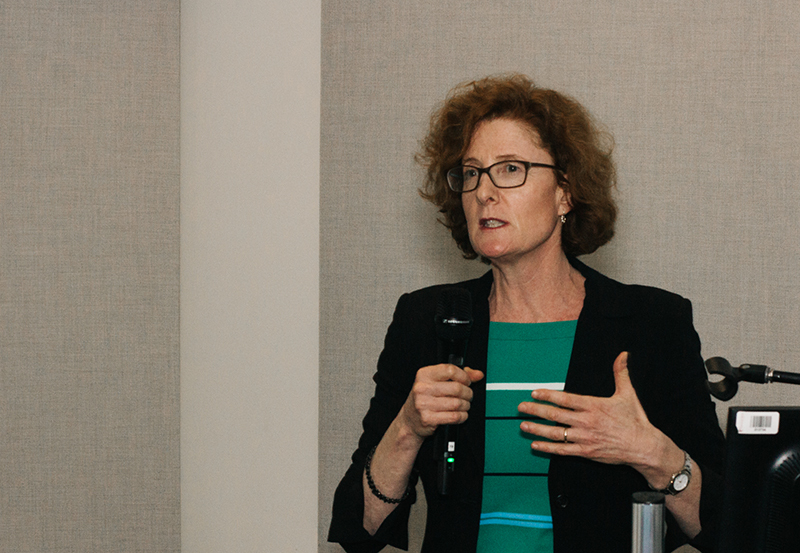 Panel discussions, film screenings, kiosks, an interactive mapping workshop, and an entire room dedicated to community-based art encouraged guests to think creatively about aging and, specifically, aging in the city. 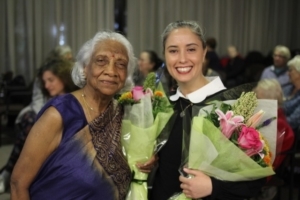 The theme of aging in the city sought to challenge the idea that thinking about the future of Montreal is meant for the younger generations, and conversely to assert the importance of including older adults as engaged actors in shaping the city of today and tomorrow. Age 3.0, only in its second year, has successfully carved out a unique type of public space in the university, encouraging dialogue about topics that matter to people of all ages. Most importantly, it has invited older generations to come to the university to learn and to contribute to a conversation that will help change the way we think about aging. A number of panels took place throughout the day. They brought together researchers from multiple disciplines. from Concordia and beyond, community activists, as well as representatives from the city. One of the goals of these panels was to bring rich ideas and diverse perspectives into conversation with one another. When panelists were first invited to partake in Age 3.0 and present their work, they were asked to present their research in ways that were accessible to a mixed audience, and to think about how their work within the university could connect to the everyday lives of seniors outside of it, and more fundamentally, to the ways people age in Montreal. This resulted in a wide range of lively and interesting panels, dealing with topics like health and aging, art interventions with seniors in the city, and strategies for making Montreal a better place to live and grow older. Dr. Amanda Grenier of McMaster University and Dr. Jane Traies of the University of Sussex were invited to Montreal as keynote speakers. While Dr. Grenier spoke about the difficulties of aging in situations of precarity and homelessness, Dr. Traies spoke about her research stemming from her new book about the lives of older lesbians. 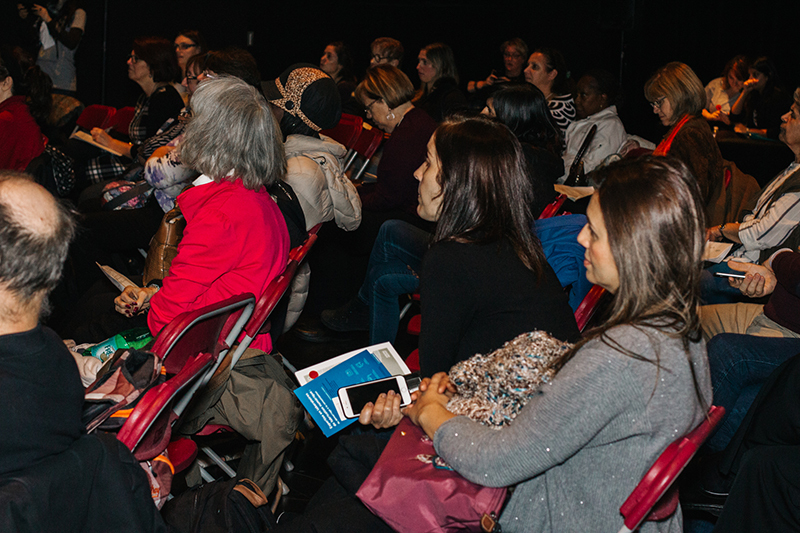 The panels and keynote presentations were punctuated by engaged comments and incisive questions from the audience, which included many older adults from Montreal. 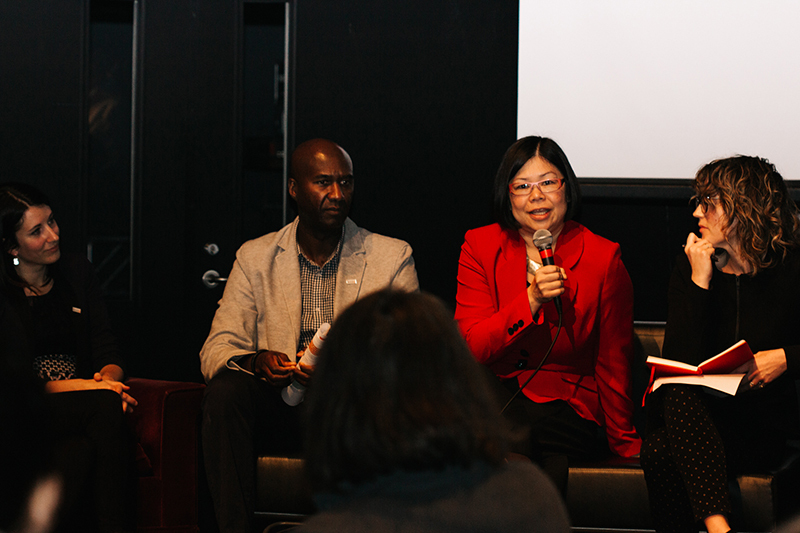 A panel on how to make the city a welcoming place for older adults brought together officials from the city and researchers from Concordia University. Pictured from left to right are Maude Chartrand and Ismael Sougou from the Borough of Saint-Léonard, Karen Li, Professor in Psychology of Concordia University and Meghan Joy, Assistant Professor in Political Science at Concordia University. Age 3.0 audience members during a panel discussion. Age 3.0 featured a visual art exhibit in Concordia’s black box, a very large, open room that boasts incredibly high ceilings, a large projection wall, and endless opportunities for unique exhibit lighting. Intersections: Aging in the City, showcased creative work from older adults across the city. Creative projects from The Saint-Henri Art Hive, the NDG Seniors’ Atelier, two Montreal HLM residences (Durocher and Du Fort), the AIDS Community Care Montreal (ACCM) group, and the Native Friendship Centre of Montreal (NFCM) exhibited the various ways people engage with and perceive the city as they grow older. Works from The Saint-Henri Art Hive presented the community artists’ vision of an ideal city through a wide variety of materials and collage. Artists built a miniature model of Montreal’s esteemed Mount Royal, alongside structures that represent their homes and favourite places. Members of the ACCM constructed human sized flags which hung from the ceiling. The flags represented the struggles and successes the artists have experienced as they age in the city. Photographs from residents of Montreal seniors’ residences depicted their quotidien encounters. The beadwork from members of the Native Friendship Centre of Montreal was hung from a weblike – almost invisible – wall. 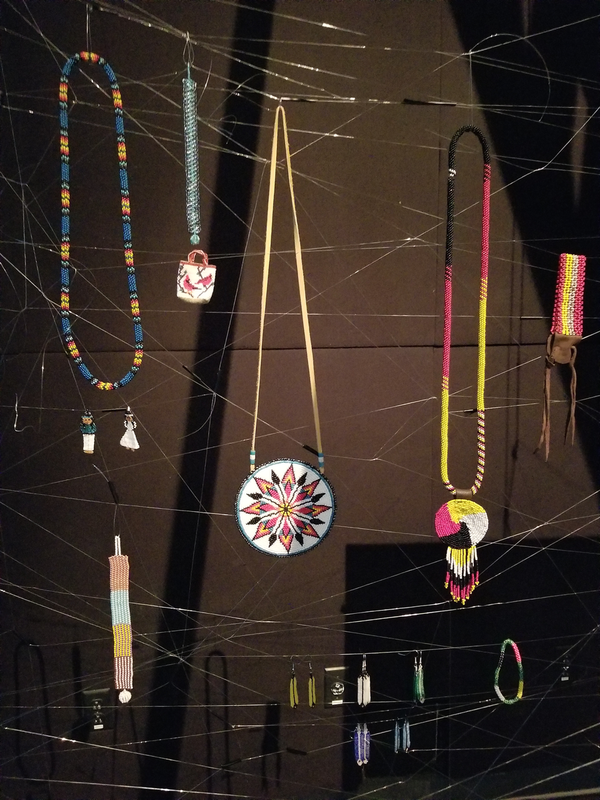 The pieces were produced during a weekly intergenerational beading circle, hosted by Elder Valerie Braithwaite. Most of the pieces in the Intersections exhibit were developed through collaborative practices that involved intergenerational exchanges over time. Concordia students worked with community partners to co-generate ideas and techniques. Not only did Intersections provide a space for diverse and creative works from across the city to come into conversation with one another, it allowed artists to interact with the general public — people they may have otherwise never encountered. In this way, the exhibit was a uniquely urban experience. A number of films were screened throughout the day, from short documentary and fiction films, to artistic moving image projections. Film and media makers were in attendance, and each of them were eager to share their work and to discuss how their film connected to the complex realities and experiences of older adults. Some of the films on display were the outcome of collaborative projects with seniors, such as the Atwater Library’s series Canada Under a Microscope. Short documentary films like Care Rebels, Un jour ou l’autre, Age/ing Waves, or Fingers on the Line represented efforts to bridge university research and creative processes. Dr. Marlene Goldman screened her short film, Piano Lessons. The film is a thoughtful depiction of a woman’s experience of living with dementia, and is based on an Alice Munro short story. From rethinking care homes, to relaying experiences of moving to residences for seniors, to exploring how Deaf seniors engage with new and old technologies, these films brought into focus questions integral to thinking about later life, community and the city. Audiences members were invited to snack on popcorn and other treats while they enjoyed the screenings. After the films were screened, the film and media makers answered questions from the audience and engaged in conversations about the films and the production processes. ACT research assistant Myriam Durocher serves popcorn to Age 3.0 attendees ahead of a film screening. Dr. Marlene Goldman answers audience members’ questions about her film Piano Lessons. Kiosks in the EV atrium attracted event attendees and students throughout the day. The Map Your City workshop invited Age 3.0 participants of all ages to creatively interpret their city. Research groups, community organizations and startup companies hosted kiosks in the large and sunny atrium of Concordia University’s EV Building. Throughout the day, one dozen kiosks connected with passers-by and attendees of Age 3.0. The kiosks provided a space for businesses, community and research-centred projects to share the ways they work to improve the lives of seniors in Montreal. Among the kiosks were ACT partners the Centre de recherche et d’expertise en gérontologie sociale (CREGÉS) who shared their research on social gerontology, and the activist community group Respecting Elders: Communities against Abuse (RECAA), who exhibited the work they do in Montreal to counter elder abuse. Don Rosenbaum and Shayne Zal, an intergenerational duo who have launched an innovative, intergenerational daycare project in Notre-Dame-de-Grace (NDG) shared their project’s story and recruited volunteers. 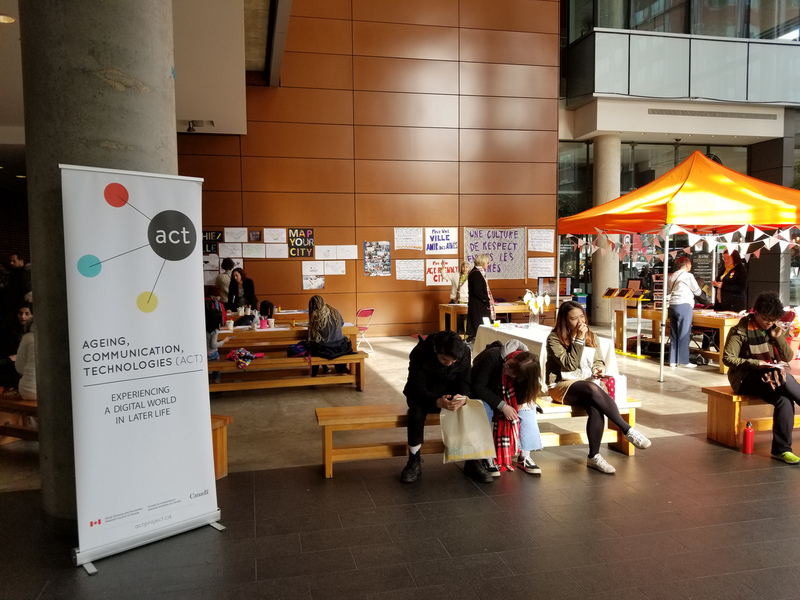 ACT hosted a kiosk in which participants were invited to test out social media applications like Twitter, Instagram and Snapchat to narrate the day. ACT also held a city mapping workshop. 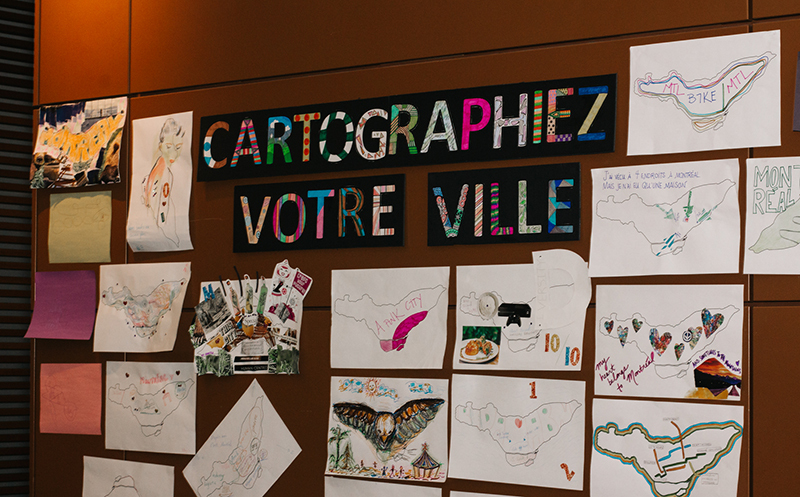 Inspired by the Mapping Manhattan Project, “Map Your City” invited Age 3.0 attendees to illustrate Montreal using collage and drawings to reveal the way the city is meaningful to them. They were given a blank outline of Montreal, along with markers, magazine scraps, and other craft items to colour in their city, to fill in its contents, and to creatively alter its boundaries. 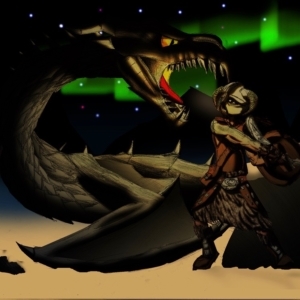 Because Age 3.0 hosted such a variety of activities, it offered something for everyone. Participants could choose the activities that appealed to them and spend as much time in each space as they wanted. The common spaces provided a place for participants to get to know one another. The ACT team was deliberate in its design of the program and event spaces. The day was devised in a way that encouraged participants to connect and chat about the ideas that were presented. 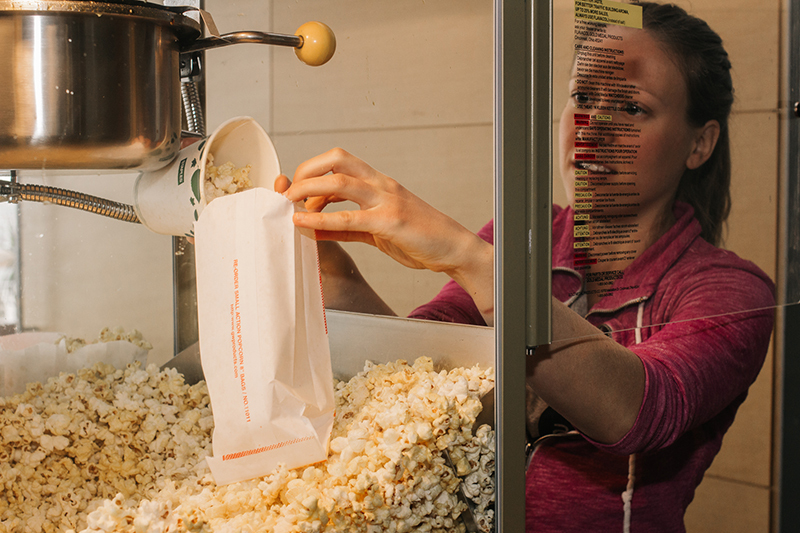 The common spaces and snack areas outside of the screening room and in the kiosk space were key to inviting these types of conversations. 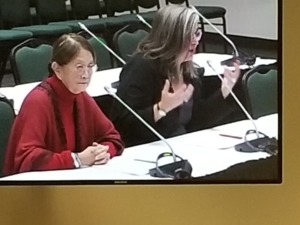 ACT Associate Director Constance Lafontaine has emphasized the important role events like Age 3.0 play in making links between older adults and the university. She explains that “it’s too easy to exclude seniors from the university and we want to make the Concordia campuses inclusive places for all generations.” Age 3.0 provides a place for conversations about later life to happen between disciplines, between sectors of society, and between age groups, as it carves out a place to cast a critical and creative eye to our collective future. Visit the Age 3.0: Aging in the City photo gallery for more images from the day, and find more information about the activities held by taking a look a the day’s program.